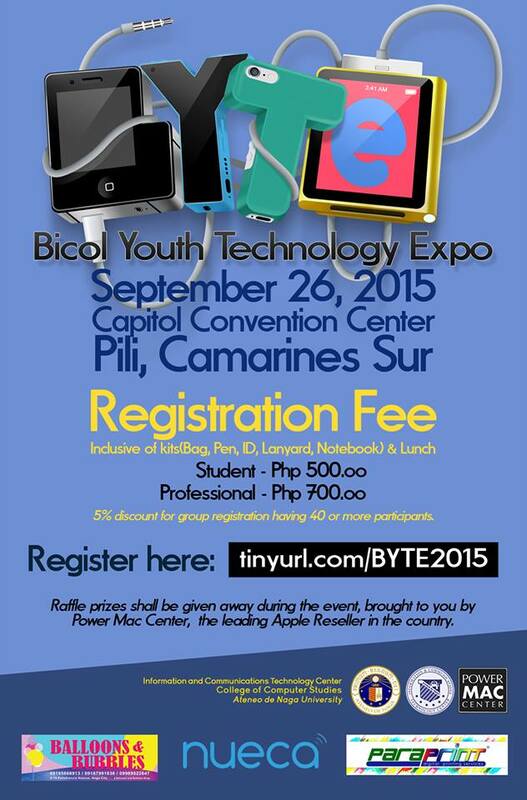 Naga City - The Information and Communications Technology Center (ICTC), College of Computer Studies of the Ateneo de Naga University will be holding its 2nd Bicol Youth Technology Expo (BYTE) on September 26, 2015 at the Pili Capitol Convention Center. BYTE is an annual gathering of students both in high school and college, teachers, and professionals a-like to provide exposure on emerging technology trends. This year, they will be bringing in the leading Apple Re-seller company in the Philippines, Power Mac Center with its Education Business Group providing today's coolest and most efficient hardware and software applications for education. Power Mac Center will let you see, experience, and learn the benefits brought by Apple products for education, a set of awesome products and services that allows schools, educators, and students to energize creativity and learning in the classroom while promoting security and green computing. 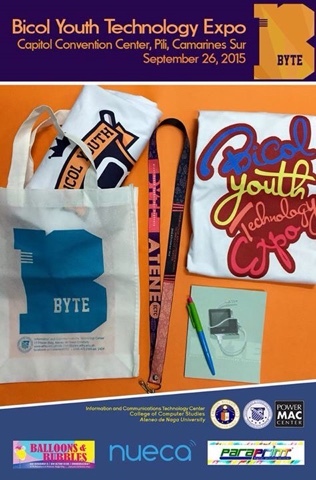 Registration is P500 for students and P700 for professionals with kit, inclusive of a bag, lanyard notebook and lunch. Get 5% discount for group registration having 40 or more participants. Register online at http://tinyurl.com/BYTE2015. Raffle prizes shall be given away during the event, brought to you by Power Mac Center. For more updates you may visit Byte 2015's Facebook Page HERE or call (054) 4722368 local 2424 and look for Pat or Claire for inquiries. 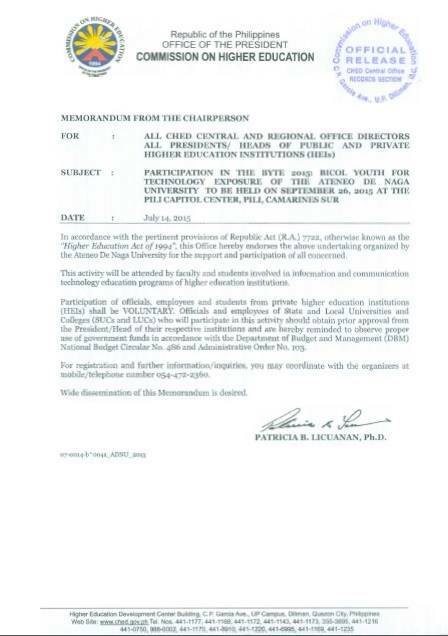 BYTE 2015 CHED ENDORSEMENT is now available. 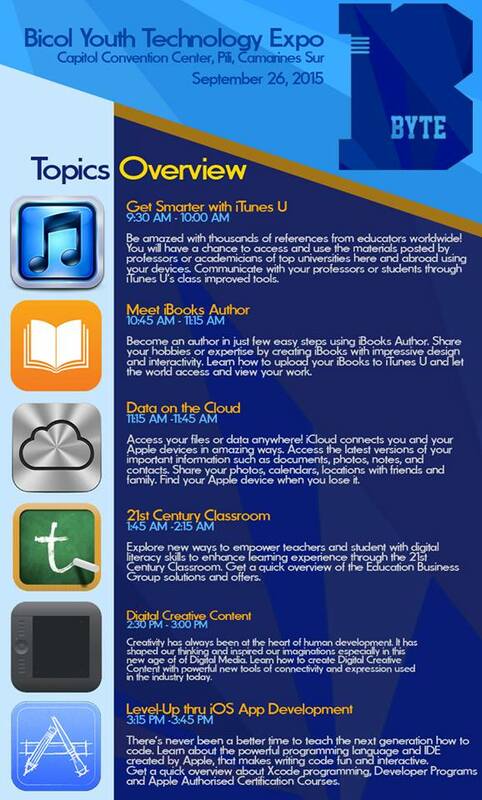 For pdf copy, please email the coordinators at ictc@gbox.adnu.edu.ph or send them a message on the Facebook Page.